The HS35 combines the rugged, heavy-duty features usually associated with shafted encoders into a hollow shaft style. 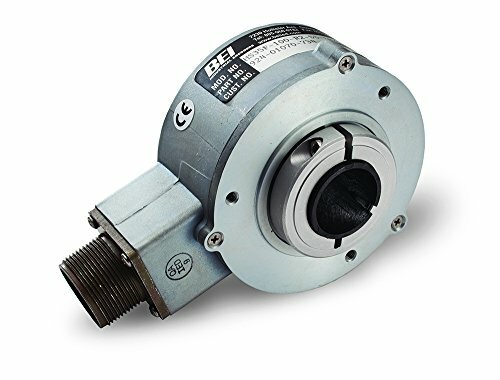 Its design includes dual bearings and shaft seals for NEMA 4, 13 and IP65 environmental ratings, a rugged metal housing, and a sealed connector. The HS35 accommodates shafts up to 1” in diameter and can be mounted on a blind shaft with a closed cover to maintain its environmental rating. Applications include motor feedback and vector control, printing industries, robotic control, oil service industries, and web process control. If you have any questions about this product by BEI SENSORS, contact us by completing and submitting the form below. If you are looking for a specif part number, please include it with your message.